I'm sure you've wondered about this question at some point in your life, or even did online tests just to find out which side of the brain you are more oriented towards. Generally, it is said that people who are right-brained are more creative, spontaneous and intuitive, while those who are left-brained are more logical, objective and analytical. The left brain is so called the “reasoning” brain. It controls the conscious mind, logic and reasoning abilities, as well as processes information systematically and in small quantities. The right brain is the "visualisation” brain. It controls the subconscious mind, imaging abilities and creativity, and processes massive amounts of information quickly. Did you know? Recent studies have shown that neither side of the brain can be concluded as more dominant than its counterpart. Instead, both left and right hemispheres of the brain work together hand in hand and should therefore be trained and developed equally. Today, I'm sharing with you our review of Heguru Education Centre, a global leader in right brain education, where the girls have been faithfully attending classes for the past half a year. We are currently attending lessons in the Waterway Point outlet and Heguru Education runs centres in One KM, Sengkang and Tampines too. When we first began, it took a bit of persuading for the big girl as her class was not parent-accompanied and she was initially feeling apprehensive. I convinced her to just try it out and if she really didn't enjoy it at all, we would discontinue. After just one lesson, she walked out with a smile and told me "Mummy, I like my Heguru class. Let's come again next week!" 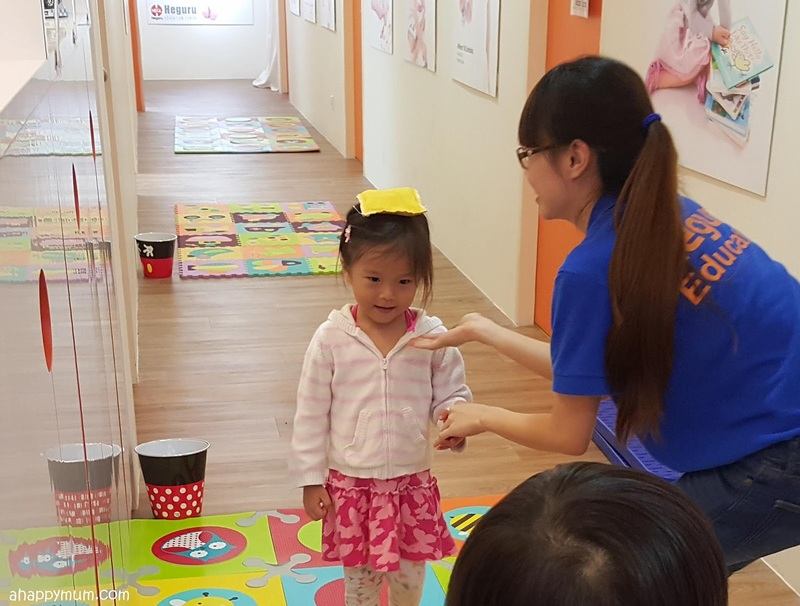 As for the toddler, who is no stranger to right brain training, she found it all very fun and engaging, and best of all was that Mama could participate in the activities with her. "I love Heguru!" was a statement that she would say often in the past few months. This journey has been quite a fulfilling one for us and in this post, I'll be sharing with you our thoughts and experience, including a breakdown of the lesson content, so that you can better understand what right brain training is all about. 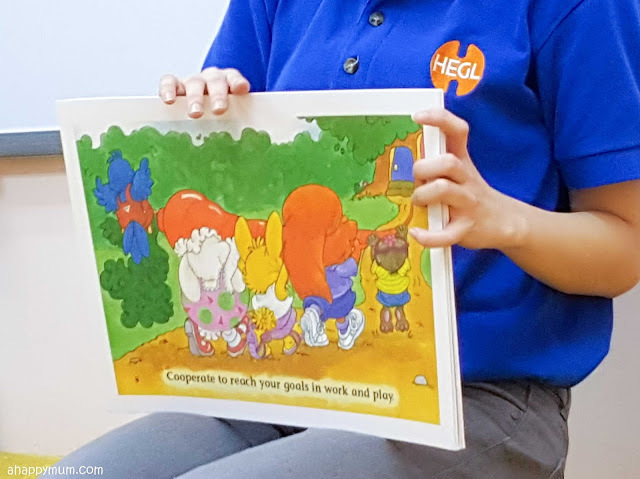 Originated from Japan and developed by Hirotada and Ruiko Henmi, Heguru is an effective early childhood education method which is supported by more than three decades of extensive scientific research and practicum. With a kid who has started primary school, it is hard to disagree that our current education system does not allow much room for right brain development. Most of the subjects they learn in school, including the way in which lessons are taught and presented, are more for enhancing left brain functions such as speech and computation. 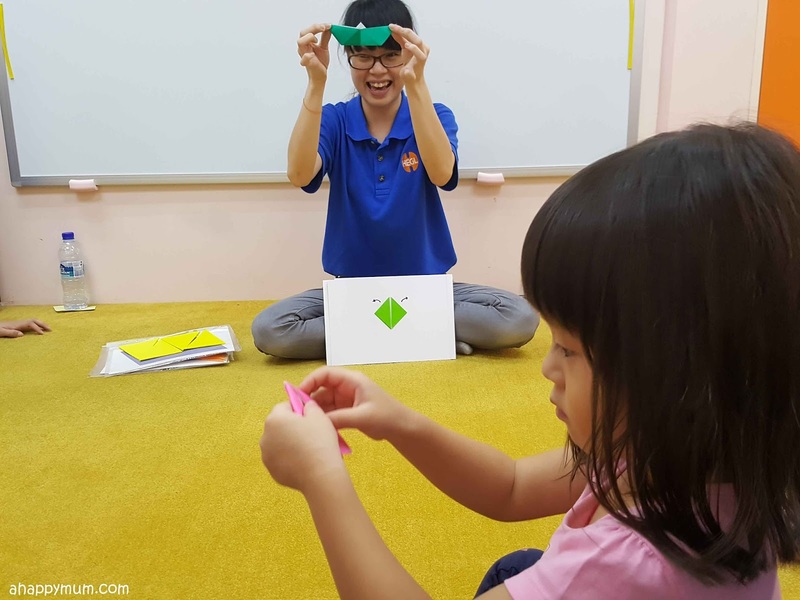 Tailored to the Singapore curriculum, it also seeks to help enhance the left brain capabilities at the higher level classes as the children prepare for formal schooling. This is in the hope of teaching children to strike a balance between the left and right brain and setting up a solid foundation to realise their brain potential to the fullest. Why do we need to start from young? Kids are only young once, as fellow parents, I'm sure you have heard of and know that fact just too well. Research has shown that the brain develops fastest from birth up to six years of age, therefore this makes it a crucial period for right brain training to be most effective. Exposing a young child to quality stimuli will allow him/her to accumulate a vast library of knowledge in the subconscious mind. According to Heguru, if the right brain of your child is left untrained during this time frame, the rapid rate of learning decreases and your child’s innate right brain abilities becomes dormant beyond the age of six. Ariel has been attending the Infant and Toddler Course while Angel has been attending the Preschool II Course. For the Infant and Toddler Course, it is parent accompanied, consists of 40-50 activities which are targeted for right brain stimulation. For the Preschool Course, students are to attend independently and there are over 60 activities aimed at right brain stimulation and left brain enhancement. I know, that's a lot of activities in such a short time, right? A friend of mine was asking how do kids even learn when everything takes place at such an unbelievably swift pace and when the syllabus might be hard even for adults. Well, the thing is that Heguru believes that the objective is not understanding, but the inputting of data at a large volume and fast speed in order to increase the learning capacity. 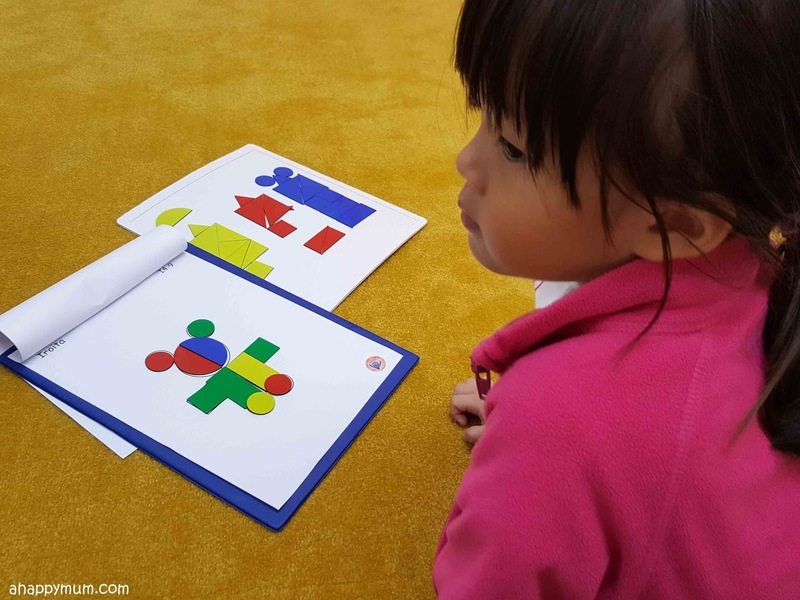 Having observed the classes for the past few months, I find that while the Preschool Course is more hectic and comprises of more puzzles, knowledge and memory games, and logical skill training, the gist of the activities is similar to that of the Infant and Toddler Course and works in the same way to stimulate the brain. For both of these classes, there are two teachers each - one is the main teacher and the other is the assistant who hands over the materials, ensures the smooth flow of the activities and provide personal guidance to the children when needed. While it is not very possible to share in depth about every single activity we do in Heguru, I think these activities can be broadly categorised and here is a list of them below, followed by our thoughts and views. 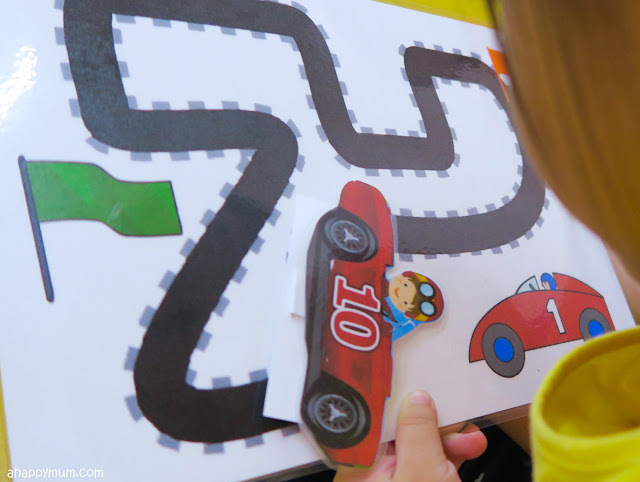 To help improve memory, a series of different memory games are conducted in each class. In Link Memory, you are tasked to memorise over 40 picture cards by linking them up with a story. It can be something very random and illogical, for instance "The prawn wore a tuxedo to the lighthouse to ride on the roller coaster". What I like is how each child is given the opportunity to memorise at least 4 cards individually and he/she will have to say it out loud when the turn comes. For the rest of the cards, the whole class can participate together. This helps to ensure that they are attentive and also boosts their sense of confidence too. In Peg Memory, every word is pegged to another word, for instance the elephant is wearing a dress. By making mental association between two different objects, this aids the children in memorisation. To help in Photographic Memory, one of the activities is where you are shown a picture for approximately five seconds in order to memorise the positions of the different items. The number of items gradually increases, starting from three and one will be added each week till you reach six, therefore the difficulty increases accordingly. You can be arranging shoes on a shoe rack, animals on a tree or buildings on a map. 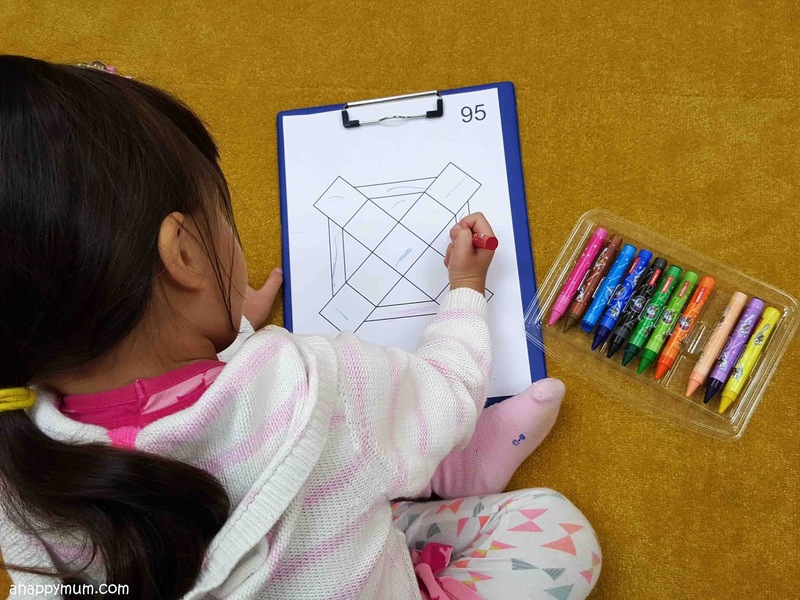 Another activity to improve photographic memory is the Mandala, where the children will be shown a mandala symbol and they have to memorise the different colours by seeing it for a few seconds, fill in the colours accordingly with crayons and then learn how to draw it. I have to tell you that this is very tough and Ariel can rarely remember all of the colours, much less draw the puzzle on her own after seeing it for just a few seconds. For Angel, she actually enjoys the Mandala activity and although she can't draw it well, she surprised me by commenting that "It's not hard to remember all of the colours, I can do it!". What we feel: The memory games work in different ways and I find that they are fun, engaging and challenging too. For parents like me who don't do enough of such memory games at home, I find that these weekly classes help a lot in strengthening their memory. For instance, I was teaching Ariel some Chinese words recently and she surprised me by being able to remember at least 7 of the 10 cards I showed her, which I think is definitely a great start. As for Angel, she has been getting high scores for all her spelling tests and tells me that she can remember the words quite quickly. I honestly hope this good memory of hers can last! One main highlight of every Heguru class is the Super Flash, where kids are shown a series of flashcards with different themes, let me just say that it doesn't just happen fast, it happens very fast. How fast, I hear you ask? Well, in every lesson, the kids are exposed to 450 flashcards. Yes, you read right and I typed right. 450! Do the kids understand every word? No. Does that mean it serves no purpose? No. What this does is to continuously stimulate and activate the right brain during class and just so you know, kids can process images at a speed much faster than adults and they are learning more than that you think they are learning. What we feel: It never fails to amaze me just how quickly the teachers have to say the words in order to keep up the speed. Okay, they do get tongue-tied at times but they recover quickly and do a very good job of ensuring that things go smoothly, efficiently and swiftly. Credit also has to be given to the assistant teacher too. 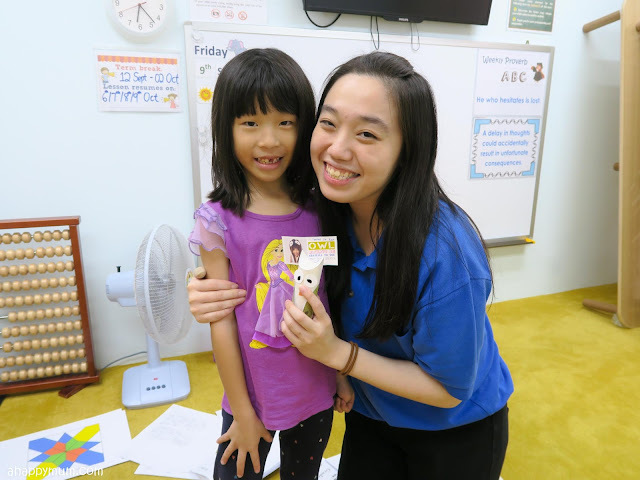 I initially thought that the kids might find it dull because that is one huge pile of flashcards to go through, but it's precisely because of the fact that the pace is so rapid and there is not a moment of rest, that it makes you feel more attentive than bored. Remember, right brain training is more about input, not output. 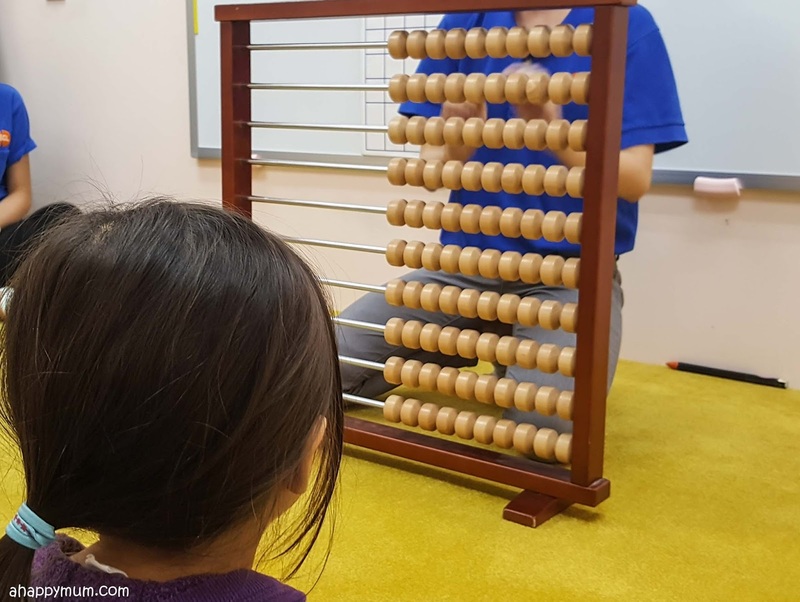 In every lesson, the kids get to practise their arithmetics and learn about numbers through activities such as the Dots Bar, Nummer Kaisten, abacus, counting, songs as well as fun games. They are not just exposed to addition and subtraction problems, but even simple multiplication and division too. At first, I thought it might be a little too advanced for Ariel, especially when it involved two digit sum or more complex questions like division. To make it even harder, the pace of the activities is, as usual, very fast. 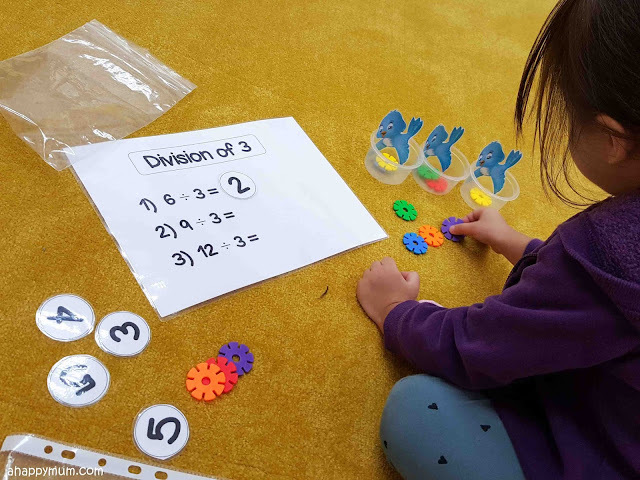 However, I realise that as time went by, she was able to learn and with the help of using imaging or counting objects, she began to comprehend more of the mathematical concepts. As for Angel, the Preschooler II Course is more challenging as expected and the children have to complete a set of activity sheets in each lesson. There will be a few pages which test their numeracy skills and they have to complete as many questions as they can within a time limit - usually under one minute. What we feel: It makes me relieved to know that they are exposed to numeracy skills training in their Heguru class because I tend to focus more on languages when I teach them at home. Mathematics has always, always been my favourite subject but it's just not that easy to make it interesting for the kids. Thus, I love how Heguru teaches arithmetic concepts in a very fun-filled, light-hearted and interesting way. Puzzles are a great way to train up your kid's IQ. 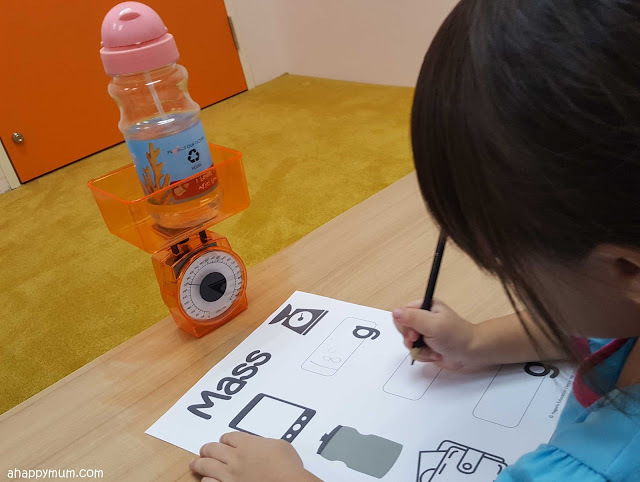 In every Heguru class, there will be hands on session where kids can get down to solve puzzles which help to stimulate their brain and improve their problem solving skills. Puzzle activities include Tangram and Iroita for the Infant and Toddler Class, and expands to involve others like Kamoshika and Pelican puzzles for the Preschooler Class. 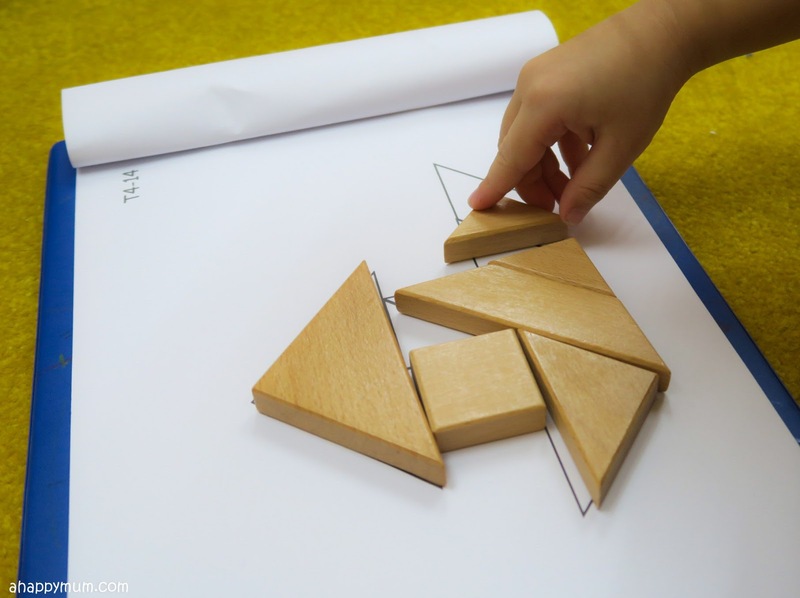 Fitting pieces of the tangram to form a specific shape as shown. What we feel: We welcome activities that are hands on because it gives the child a sense of participation. 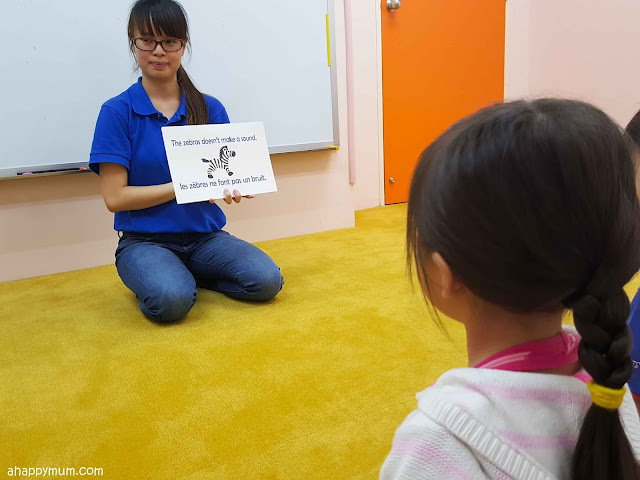 In the case of puzzle solving, parents also step in to help their child in the Infant and Toddler Class so I love that opportunity for us to bond and learn. 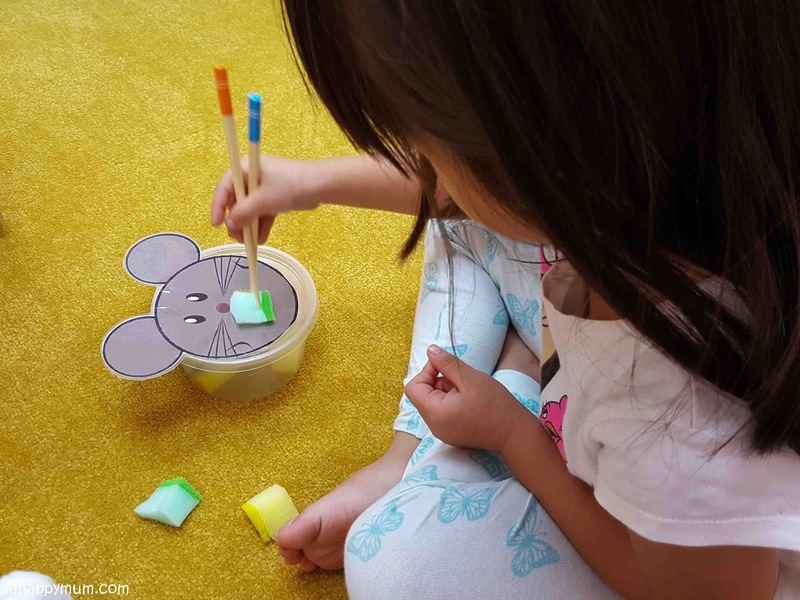 While the girls both find these activities very fun and look forward to them, they have difficulties in completing the tasks within the given time so we're trying to work on their speed for now. It's good that all of these puzzles can be directly purchased from Heguru so that parents and their children can learn and practise at home too! 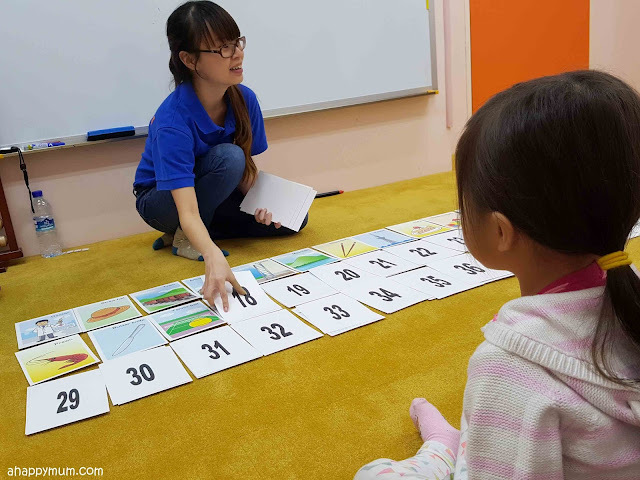 To aid in their linguistic development, kids are also exposed to weekly proverbs, chinese poetry, foreign language, phonics and storytelling. 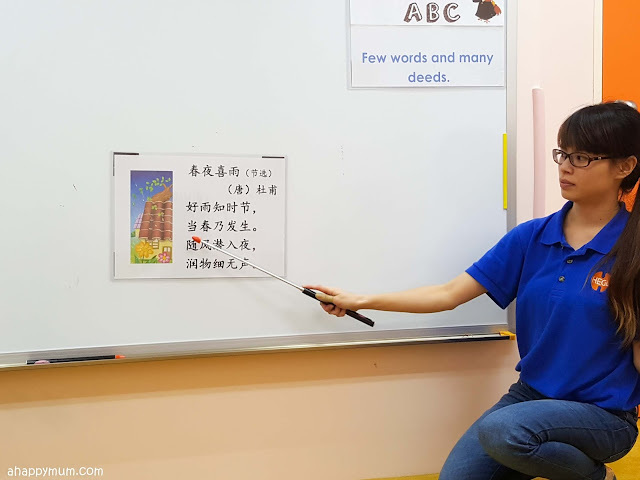 I was secretly delighted that they were able to learn some verses of the 三字经 too because we try to get the girls to recite it and instill the values in them since young too. What we feel: Since the time spent on every activity is so short, I wasn't sure how much the girls would learn from these language-related activities. That was until I heard them reciting the numbers 1 to 10 in Spanish one day and I was so impressed, asking them where they learnt it from. The said "Mummy, from Heguru!" They would even attempt to sing the foreign language songs and even though I'm sure they didn't get all of the words correct, it just goes to show that they made an impact in their minds. Now, this has to be one of the most fun parts that the kids look forward to! There will be activities and games designed to help them work on their fine and gross motor skills. We like the fact that the kids get a short break in the middle of the lesson and they get to participate in one short activity outside the classroom, be it throwing a ball and catching it, crawling through a tunnel, hitting a golf ball, balancing a bean bag and so on. This helps the kids to re-focus once they get back to class. 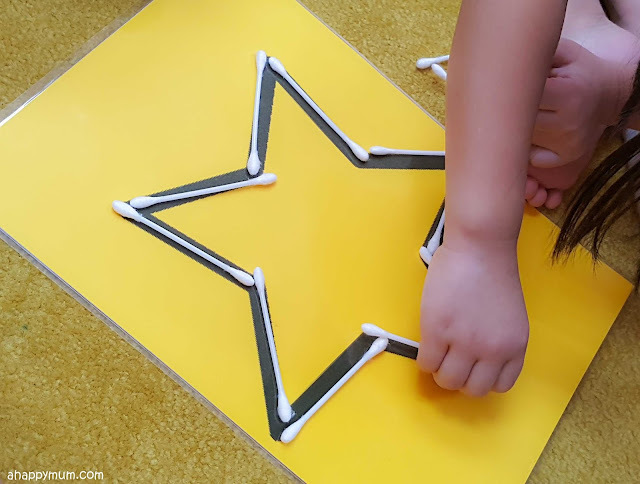 For me, I really like the activities that test their fine motor skills and help improve their dexterity. 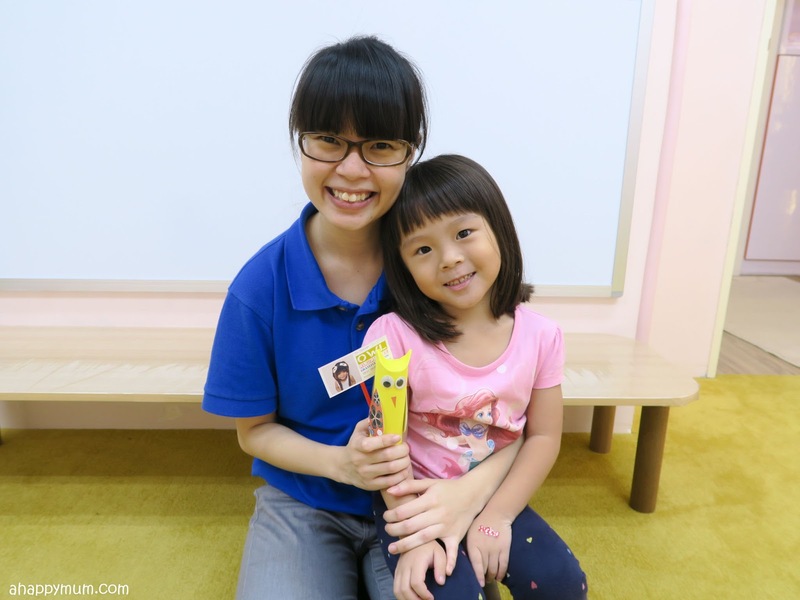 What we feel: I find that some of these activities are very creative and never fail to bring fun and laughter to the kids. For me, I strongly believe that kids learn best through playing and thus these motor skills activities are a good time for them to relax and have fun while learning at the same time. 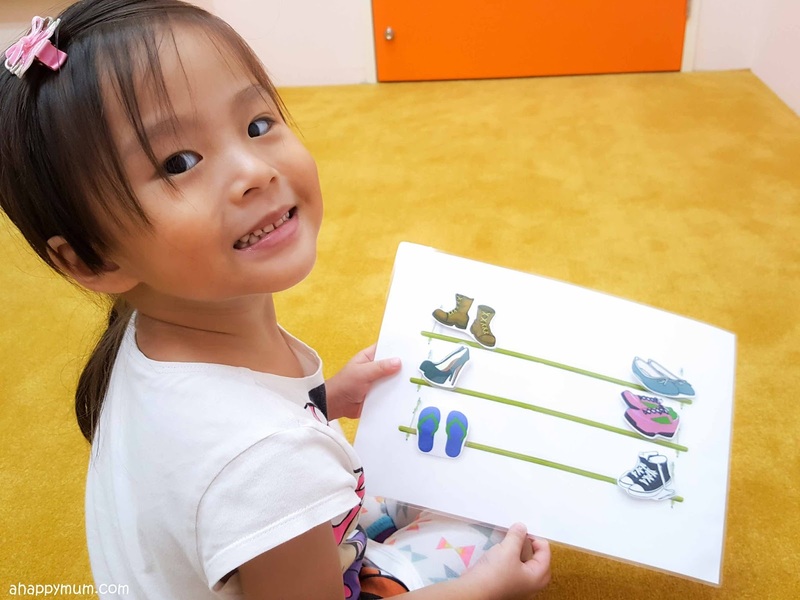 I can tell that Ariel enjoys the crafts and motor skills activities tremendously, and taking time to have a quick stretch outside the classroom makes things worth looking forward to and helps her to re-focus when she goes into the class again. Just like how the left brain has senses like sight, touch, taste, hearing, and smell, the right brain sense is what is called as Extrasensory Perception, or ESP in short. You can also call it intuition, and while some non-believers will say that this cannot be proven by scientific theories, it is a key aspect of right brain training and here at Heguru, the teachers will help to develop every child's ESP sense through four methods - Touch, Telepathy, Prediction, Clairvoyance. What we feel: This was one part that I was quite skeptical about, especially when I assumed that my girl was simply guessing the correct answer. Yes, my left brain was telling me that ESP is just something paranormal and it remains controversial as to whether it exists. Then, I started seeing Ariel getting some of the guesses correctly and she had this beam on her face as if saying "I did it, I got the answer". 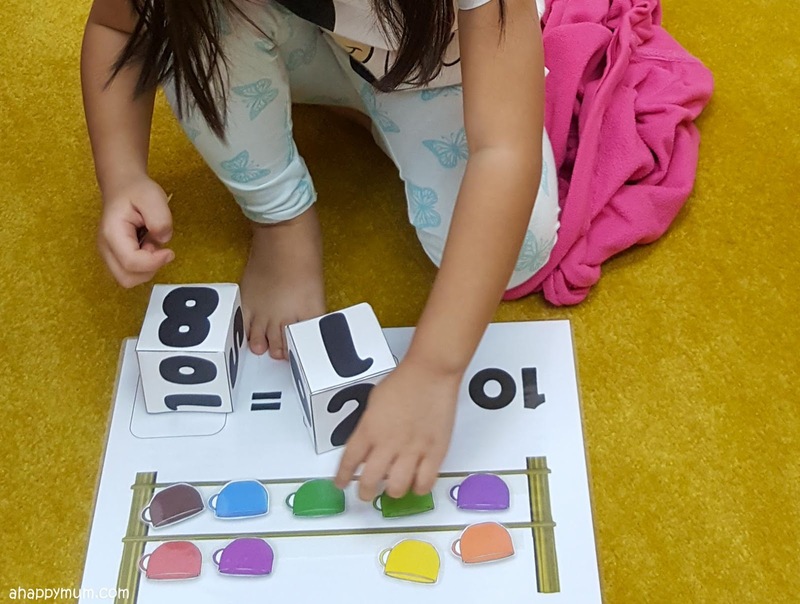 So, while I'm not sure whether she really 'felt' it as she should, but I get it now that ESP is a huge part of right brain training at Heguru and as long as it helps to stimulate the kids' brains and bring out their potential, I'm all for it. Visualisation skills are enhanced through image training, whereby the teacher acts out a story under dim light and turns it into an interactive session. This is one of the segments that I personally enjoy the most and I love how teacher brings out her dynamic side and engages the kids to join in by doing the actions and participating in the 'activity'. It could be running in a race, a visit to the zoo, having a picnic in the park and every time it happens, I can't help but join in the fun imagination with my child. What we feel: Image training is a fun and interesting part of the lesson that most of the kids enjoy. I remember there was one class where we turned up late and missed this segment, much to the dismay of the little one. 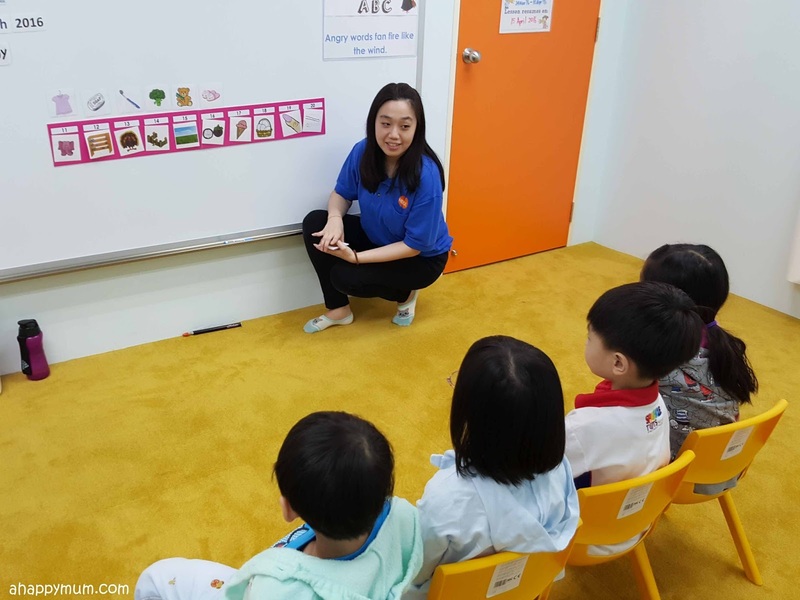 We love the way the teachers are so bubbly, animated and engaging, which greatly helps to capture the attention of the kids. 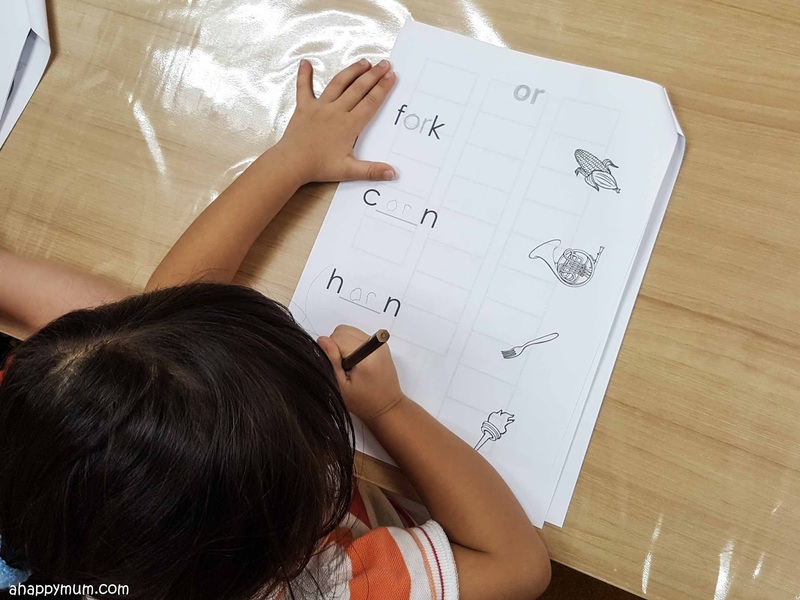 It also becomes fun and interactive when the kids start to perform the actions and pretend that they are really doing the activity. It's not just a good way to train up visualisation skills, it's also a great way for you to make use of your creativity and imagination too. At Heguru, kids are also exposed to the arts, world heritage, literature, science and learn general knowledge in the process. Don't be surprised, they even get to learn about Pablo Picasso, Machu Picchu and elements of the Periodic Table. One of the common topics between the girls is the MEP song that they have learnt in class - which changes every term. It is usually a catchy, original song that is not just fun to sing along but enables you to learn some general knowledge too - for instance we learnt about evolution of plants, three classes of levers, countries and capitals and parts of the heart. What we feel: The first time I sang one of the MEP songs, I was thinking that it was not a typical song and judging by how the lyrics were hard to remember or comprehend, I wasn't sure if the girls would be interested in it. It did help that the teachers would sing and dance with actions to the song, but was that enough to pique their interest? It turned out that these two sisters sang it so often, be it in the car, in the shower and at bedtime, that I made sure I memorised the lyrics so I could sing it with them. 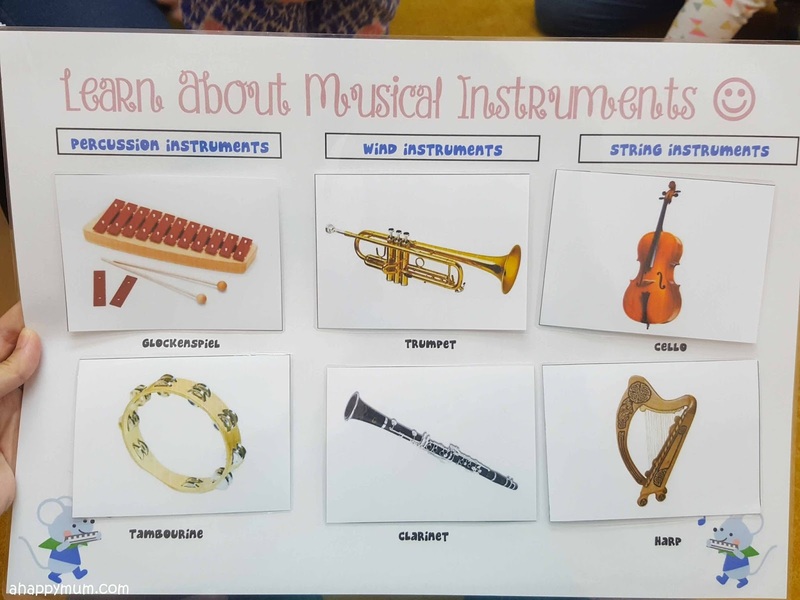 Turning knowledge into a song can be great way to learn, right? As for being exposed to arts, heritage and literature, while it's certain that they can't remember all they've seen, I remind myself that it's all about the input of knowledge and hopefully this is all stored somewhere in their subconscious mind. There are also songs which help to instill moral values in kids, for example taking responsibility for your belongings, learning to cooperate with your friends, turning off the TV when you eat, being nice to people around you and so on. For one, I know Ariel loves listening to these songs because she always turns over to whisper "Mummy, I like this song" when the music plays. What we feel: It may just be a short 2-3 minutes spent on the moral education song in every lesson, but I do appreciate the fact that it is included in a right brain training class. Cultivating the right values in my children from an early age is important to me and I'm only thankful when this gets reinforced in school or enrichment classes. We also love that these songs are not commonly heard and they even come with illustrations to help convey the message across more clearly to the kids. 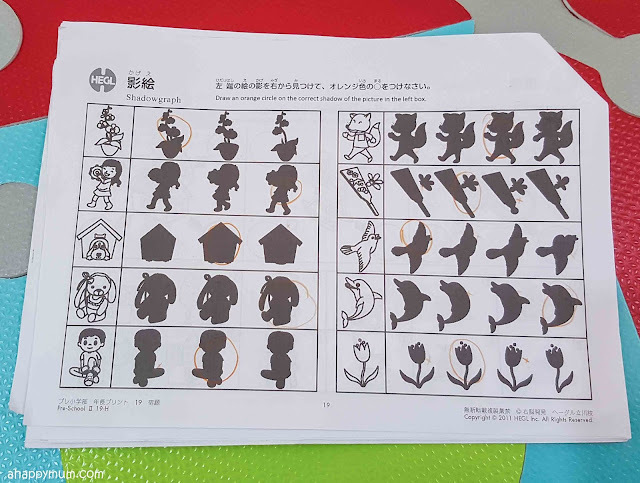 While there is a fair bit of reading and writing from the Preschooler Course onwards, I find it a good thing to know that even kids in the Infant and Toddler Course are expected to complete activity sheets in the last quarter of every lesson. 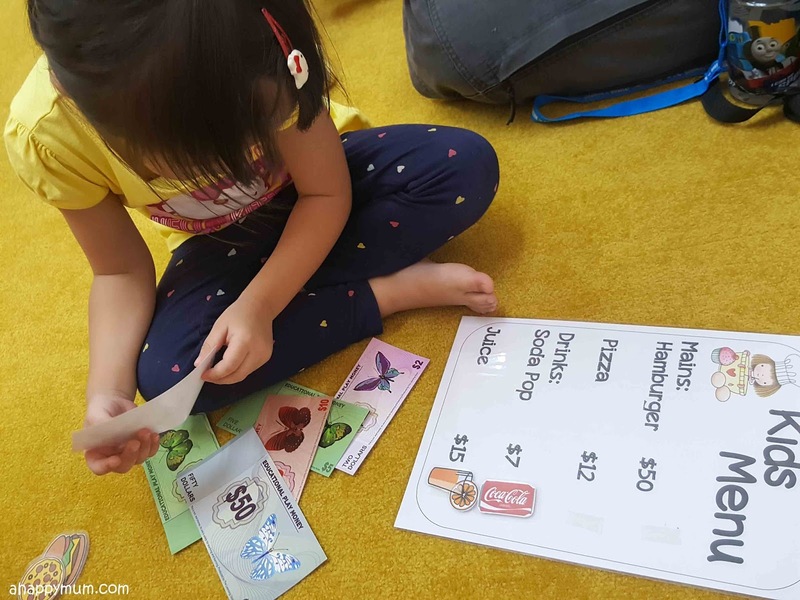 Angel's activity sheets are typically geared towards arithmetics, puzzles and analytical problems while Ariel's deal more with phonics, letter writing and numeracy. 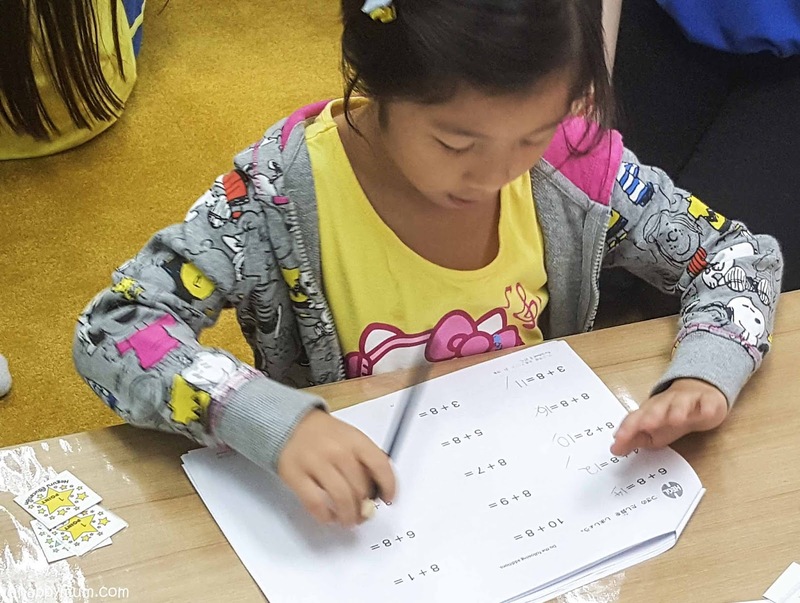 What we feel: I must say that Ariel has improved in her letter writing and the Number Memory has greatly helped her to learn to write the numbers from 0 to 9. From needing my help to guide her hand when we first started, she now brushes my hand away and says "Mummy, I can do it". As for Angel, she doesn't have a problem with writing but she does need to improve on speed writing since every page of her workbook has to be completed within a limited time. On that, she is progressing slowly but surely and I can see how both of them have improved in this sense. Last but not least, this is the segment that both of my girls super love and will miss once they enter the Primary Course. Yes, it's getting up on your feet to sing and dance! You know how some kids are reserved and may not like to join in the dancing part? Well, they are the opposite and both of them can't wait to get up to boogie every time. 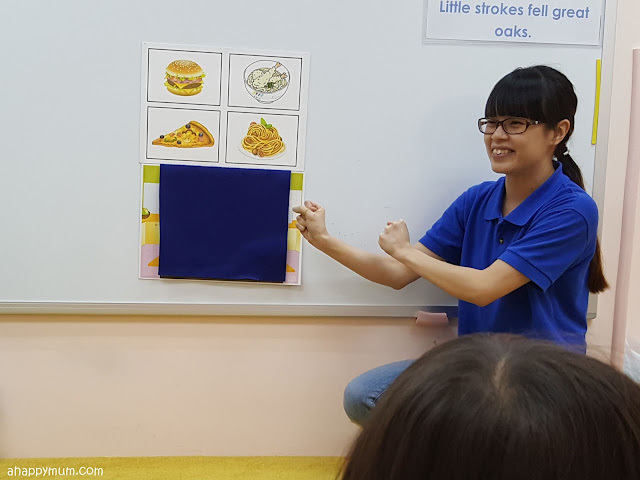 What we feel: The class usually ends with a song and dance, and while it might not be a nursery rhyme that the kids can relate to, it's usually a fast paced, catchy tune complete with easy to follow actions. I think that it makes it a fun way to say goodbye to their peers and the teachers, which in turn makes them all excited to return next week. To truly exploit right brain training, first and foremost, you have to ensure that your kid enjoys going for class. I am quite sure we are on a great start with Heguru because other than looking forward to every weekly class and finding joy in many of the fun-filled activities listed above, the kids also don't find it a chore to do their Heguru homework and instead see it as a fun challenge. Think the homework is simple? Well, not really! 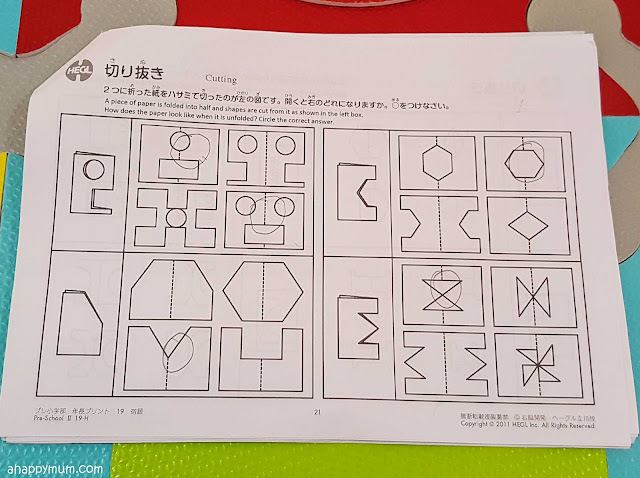 I was amazed by the standard of homework in Angel's class and how it could pose as a challenge even to me, someone who used to excel in Mathematics, loves puzzles and enjoys problem solving. On a positive note, it gives us time to bond when we go through it together at home, doesn't it? 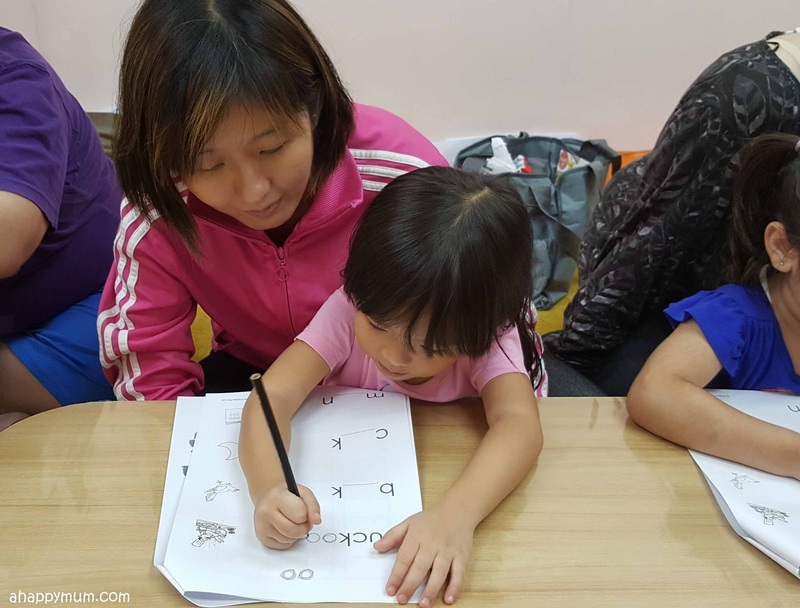 For the Infant and Toddler Course, parents will be debriefed at the end of each class where the teachers will give out a parents' lecture sheet, take a few minutes to recap the main activities done, the skills picked up and give suggestions on how parents can further revise these skills with the kids at home. I strongly believe that when it comes to enrichment classes like Heguru, you don't see results in just one month or a term. Instead, you need to let your child embark on the journey at an early age and it needs to be long lasting through the years in order to fully reap the fruits of your labour. I'm quite certain that as long as the girls keep up their enthusiasm and positive attitude towards their class, this is going to be a beneficial and insightful journey for us. In our next review, I will share more in-depth on the girls' progress and what we have learned from the journey. I will also talk about the Primary Course which Angel will be attending, how it ties in with the school syllabus and determine if Heguru is truly beneficial for primary schoolers of her age. As for Ariel, she is at the ideal age for right brain training and we'll evaluate what she has gained from this whole experience. Remember, right brain training has to start from young so if you are keen to help your child develop his/her potential, don't wait till the time is too late. Disclosure: We were invited by Heguru Education Centre to review their courses and the girls attended complimentary lessons in return. All photographs and opinions are our own. Hihi, I have to agree that it gets intense because of the amount of activities done in a short time, but the thing is it IS supposed to be intense so that it can stimulate the right brain of these children to the max. As far as I see, my two girls have never been stressed out because the teachers are always there to guide you and they don't fault you even if you get all your answers incorrect. On the contrary, they are very encouraging and supportive and that makes the kids enjoy the class and try to do a better job every time. It will be absurd to say that my kids can do a perfect job at every task because they really can't catch up, so we just have to be reminded that the large volume of input is of essence and not stress them unnecessarily if they can't complete in time or give wrong answers. It's true when I say they have given up on a few enrichment classes but this (along with their art class) is one that they feel happy to stick to and look forward to weekly, which is a heartening thing for me as a mum. Early childhood education is of maximum position. Our early knowledge centre offers actual Heguru method and right brain training enhancement programs for children from as young as 6 months old right up to 12 years old that goal to unlock their mastermind potential. I like to share your creative work with my team and academic writer, who are looking for assignment help at Elite Assignment from me at London. 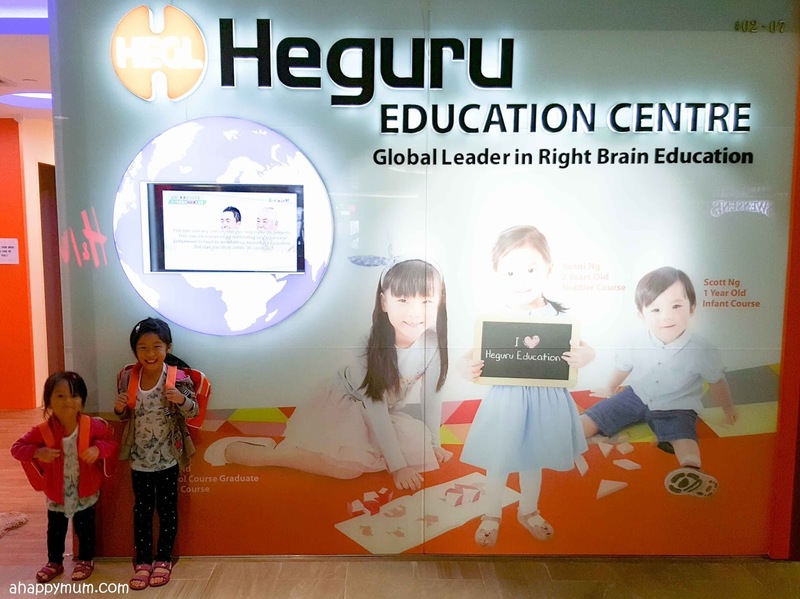 Heguru Education is developed by Heguru Japan with extensive research and seminar on right brain training. Brain-training investigation is still young, but studies suggest that some systems of brain training have confident effects on a child’s ability to learn, his behavior, and his emotions. Brain training for kids is quickly becoming a mainstream activity that is seen in schools, after care programs and of course at home. Since I am an academic writer at Secure assignment help - http://www.secureassignmenthelp.com/. I would like to share this website to more people, who has a kid, because activities to progress memory and awareness are important for all of us! Cute smile of little kids and I can see the enthusiasm and curiosity of learning in the kids through images. Lovely Dance! 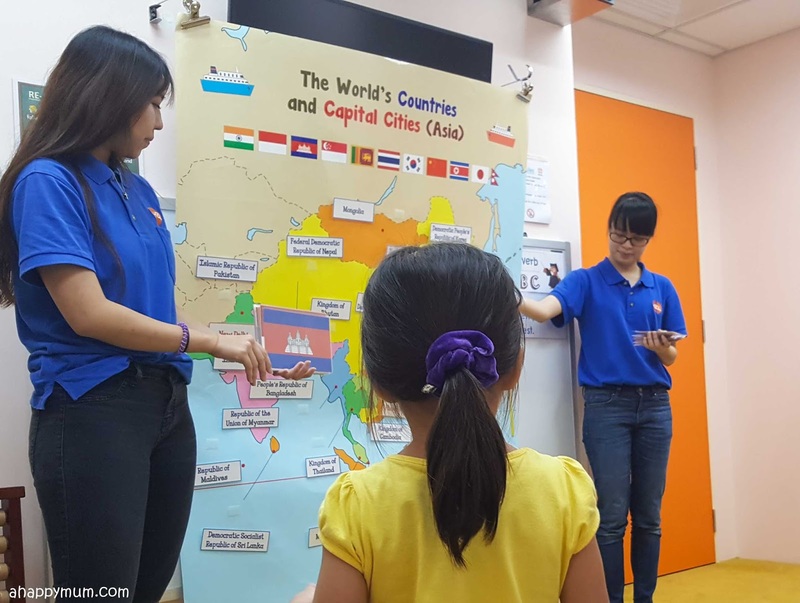 Really your Education centre is global leader in right brain education and the innovative ideas to keep kids engaged to learning activities with fun. I am also running playschool along with my wife after completing job as cheap dissertation services provider in one of the leading dissertation help service providing company. I would like to implement such kind of ideas at my playschool, my wife will sure love it and think about more innovative ideas beyond this. Thanks for sharing review of Heguru Education Centre. The human brain is split down the middle, dividing it into two halves with a small connection at the base. 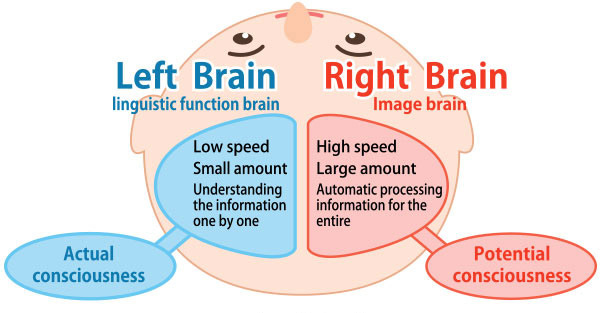 The left side of the brain is responsible for controlling the right side of the body. It also performs tasks that have to do with logic, such as in science and mathematics. On the other hand, the right hemisphere coordinates the left side of the body, and performs tasks that have do with creativity and the arts. And we are more than happy to help with any nursing personal statement UCAS writing issues. If you are looking for UCAS nursing personal statement help or writing help service we can help! I like your activity highlights you shared here.